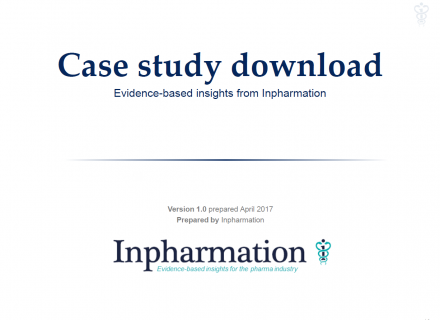 In anticipation of a loss of exclusivity event for their market-leading α-TNF biologic, a top-10 pharma company needed a recommendation for the optimal UK discounting strategy, in order to maximize revenue upon launch of the first biosimilar. A tender pricing research approach was recommended, as the purchase of biologics in the UK becomes tender-based upon loss of market exclusivity, therefore the customer needed to understand how a price differential between originator and biosimilar α-TNFs would impact biosimilar erosion in this environment. The use of biosimilars in the UK is driven by 1) a MCE (most cost efficient) biologic evaluation and 2) a number of incentives provided to trusts by commissioners. Use tender pricing research methodology to quantify the likely biosimilar discount strategy at each tender. Quantify the impact of price differential at the first tender on commissioner incentives for trusts to use the MCE biologic. There are a limited number of commissioners/HCPs available to survey. Develop a tender pricing simulator to quantify the likely biosimilar discount strategy at each tender. Quantify how trusts switch patients in light of different product attributes, commissioner incentives and discounting levels. Quantify the likely biosimilar usage at changing biosimilar originator price differentials, taking account of both commissioner and trust behavior. Multiple usage drivers must interact to provide a single biosimilar and originator market share forecast.